Since 1966, ISKCON has been sharing India's glorious spiritual heritage with people of all nations, races and walks of life. As a result, the timeless wisdom of the Bhagavad Gita has benefited people in nearly every corner of the globe. The International Society for Krishna Consciousness (ISKCON) has a 50 year history of sharing the glorious Vedic culture of India with the world. Founded in 1966 by His Divine Grace A.C. Bhaktivedanta Swami Prabhupada, ISKCON is a movement with a mission to promote the well being of society by teaching the science of Krishna consciousness according to Bhagavad-Gita and other ancient scriptures. ISKCON has more than 600 centers, 65 eco-communities, 54 educational institutes and 110 vegetarian restaurants across the globe in countries including Russia, Canada, Kazakhstan, Poland, Switzerland, Australia and South Africa. These centers are beacons of spiritual enlightenment, bringing peace to a restless world. Below is a brief overview of ISKCON’s accomplishments around the world. ISKCON’s publishing arm, the Bhaktivedanta Book Trust, is the largest book publisher dedicated to Vedic texts such as Bhagavad Gita and Srimad Bhagavatam. Over 500 million of these literatures have been distributed worldwide in every major language. 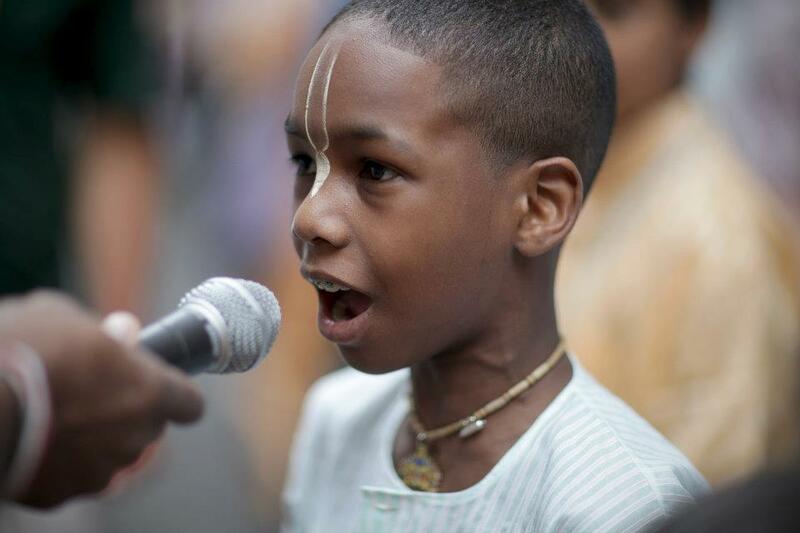 ISKCON places great emphasis on the ongoing systematic study of Vedic texts beginning from childhood. Bhaktivedanta College, The Vrindavan Institute for Higher Education (VIHE) and other such programs are dedicated to this ideal. ISKCON members also helped found the Oxford Center for Hindu Studies. ISKCON perpetuates Vedic culture in the form of music, classical dance, art and drama. 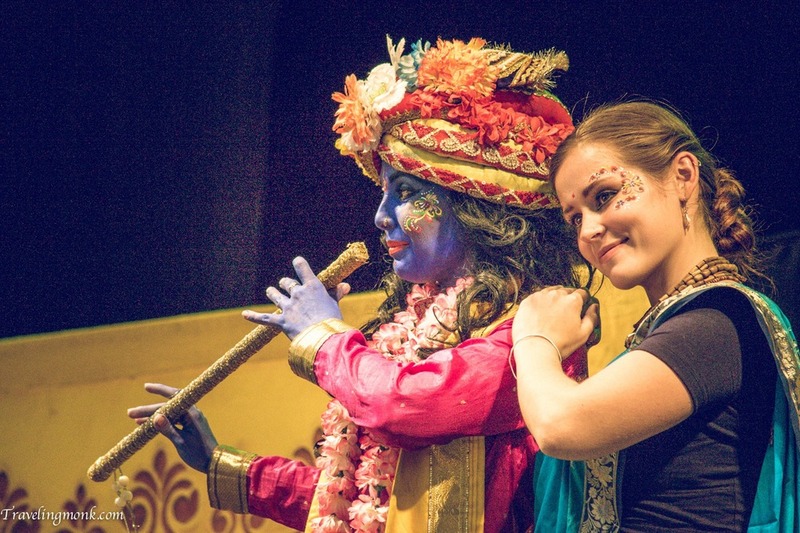 Each year ISKCON celebrates the ancient Rathayatra festival in dozens of cities across the globe including New York, Durban, Moscow, London and Mumbai. ISKCON Food Relief programs such as Food for Life and Mid-Day Meal daily serve 1.5 million wholesome vegetarian meals to underserved children and adults around the globe. ISKCON has a number of self sufficient communities and green living awareness programs. They serve as models of holistic societies based on cow protection, vegetarianism and simple living and high thinking. ISKCON organizes numerous programs for the community such as Barsana Eye Camp, Bhaktivedanta Hospital, Bhaktivedanta Hospice and family counseling.